Mixxx T-shirt contest until Dec 15! While we're hard at work on Mixxx v1.9, we're going to order a batch of Mixxx T-shirts for you to buy but we need something cool to put on them. The plain Mixxx logo would look awesome, but we wanted to open this up to you, our users and fans to see what you come up with that might be even better. The winning design will end up on the shirts and the submitter of the winning design will receive one shirt free! So here are the rules: PLEASE READ! All artwork must be original (and/or you must own the rights to use and submit it (and be able to prove it.) If you're not sure or don't have proof, don't use it.) 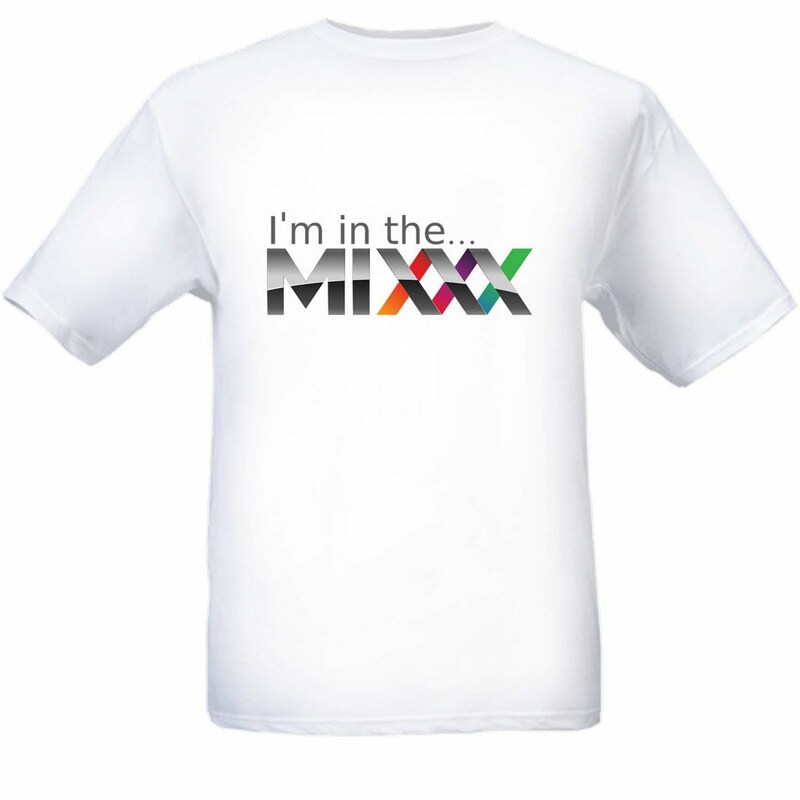 Of course you have permission to use the Mixxx logo. High-resolution logos are available on our press page. The Mixxx development team will review the submissions and will post them for public voting on our forums or blog to determine the winner. Thanks for your attention and good luck! Near the end of each release cycle, we try to round up as many developers as we can and have a giant meeting to figure out what we're doing for our next release cycle. And by giant, I mean usually four or five people tops. This time, however, we managed to get eight Mixxx developers spanning thee continents and five timezones together for a Skype meeting to discuss the future of the 1.8 series and beyond. If you want to check out the full details of our meeting, we've shared some slides that directed the meeting along with our meeting minutes, but I'll try to briefly summarize what we discussed. 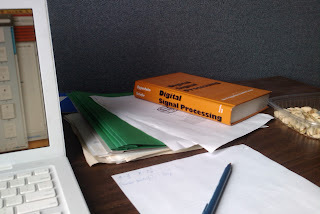 One of the big topics was our project management style. Instead of cramming several large new features into one release, we're going to try to focus on one or two features and try to do stable releases more frequently. 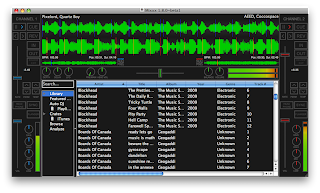 We also talked about our next few set of releases, but the only release we can talk about with any certainty is Mixxx 1.9, which will probably be the release that integrates streaming Shoutcast broadcasting via Icecast. We're also going to try to get this out much faster than our previous releases. Lastly, we want to actively recruit more developers and artists. 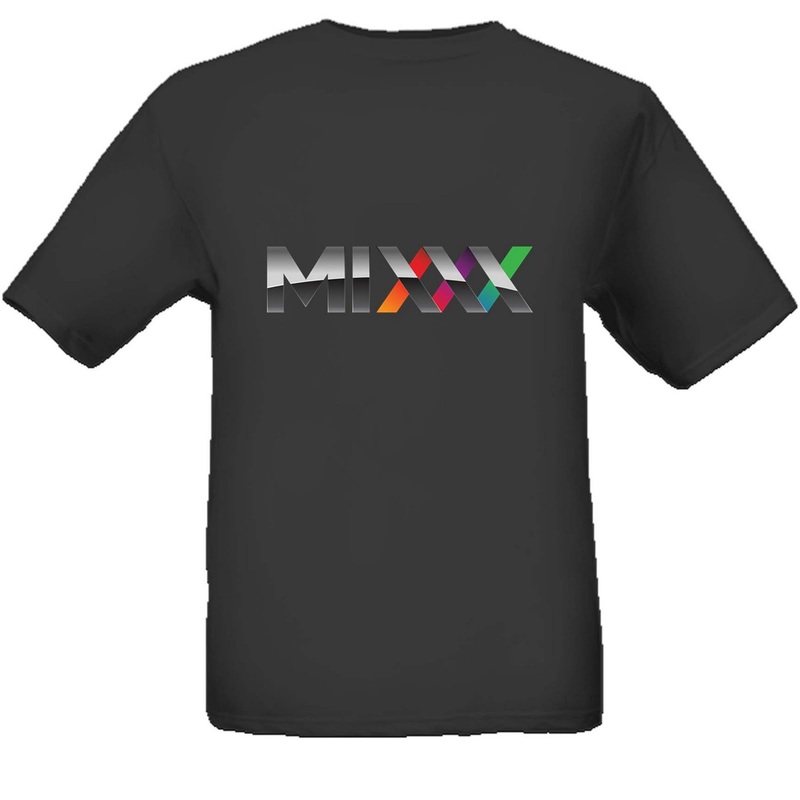 We need way more help with Mixxx, and we need to be more active at recruiting new contributors. As part of that effort, we'd like to be more open about how development is progressing, and so we're encouraging our developers to blog more. Rather than posting formal-sounding news updates, we're going to start making the blog a bit more fun. We won't hesitate to ask people for help with projects we're working on, and we're going to try to write up some easy projects on the wiki for new contributors to work on. Mixxx in Google Summer of Code 2010! Mixxx has been accepted as a mentoring organization into Google Summer of Code 2010! Google Summer of Code is a program that provides students with a stipend to work on open source software over the summer. Students from all over the globe are matched up with mentors from participating organizations and gain real-world software development experience while working on cool open source projects. 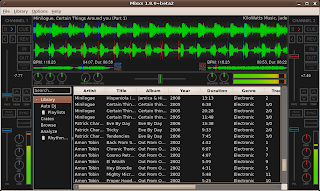 If you're a student with C++ experience, an interest in DJing, and enthusiasm about open source software, then we encourage you to apply to work on Mixxx for the summer! 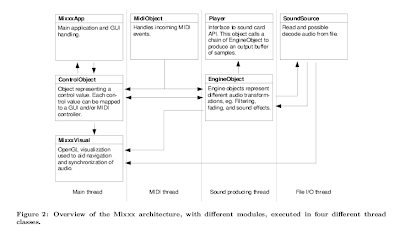 Mixxx is a great opportunity to gain useful experience not only with open source software development, but also with multithreading and realtime multimedia applications. 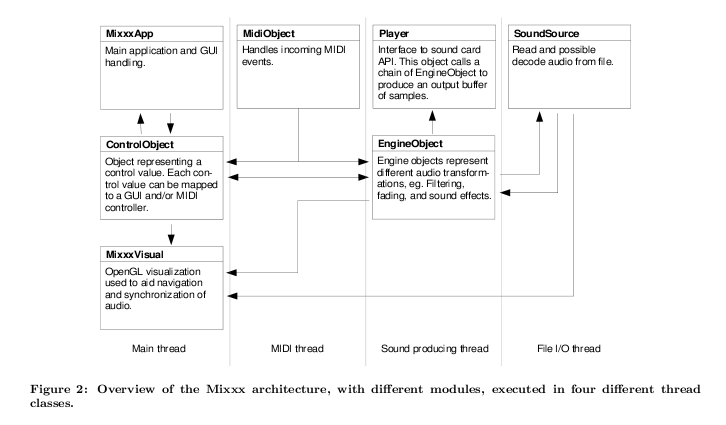 Mixxx previously participated in Google Summer of Code in 2007 and 2008, and saw the success of several projects like the new waveform widget, improved BPM detection, and our first library overhaul. We have an enthusiastic team of mentors supported by a great community of artists and developers, and we think we've got an intriguing list of project ideas for this year. So how do you get started? Check out the official Google Summer of Code 2010 site, including the FAQ and program timeline to make sure you're eligible and available for the duration of the program. Please note that the student application period is from March 29th through April 9th. Next, take a look at our GSoC 2010 Project Ideas page and if you'd like to discuss any of the ideas with our mentors, check out the contact information on that page and get in touch! We're very much looking forward to introducing Mixxx development to a new batch of students this year, and if you're interested on working on Mixxx, we hope to see your application! 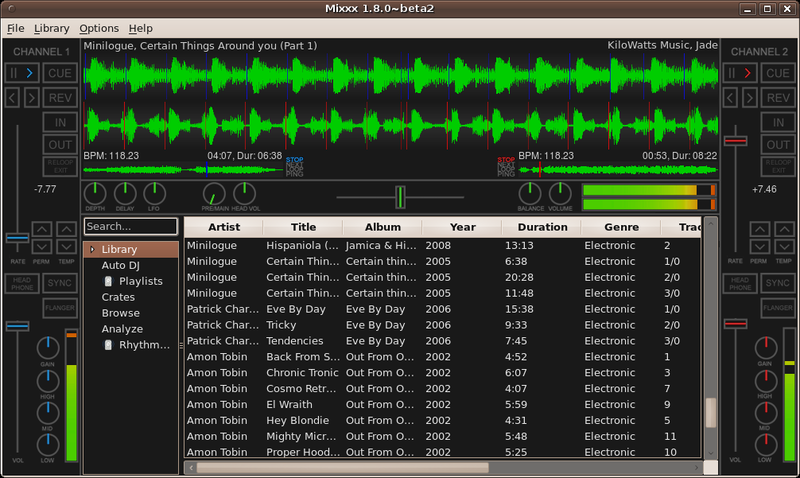 Mixxx 1.8.0 Beta 1 Released! 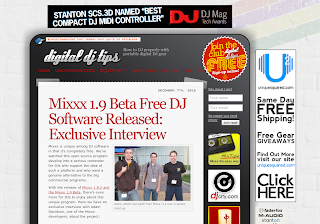 The Mixxx team is proud to announce the first beta of Mixxx 1.8.0! 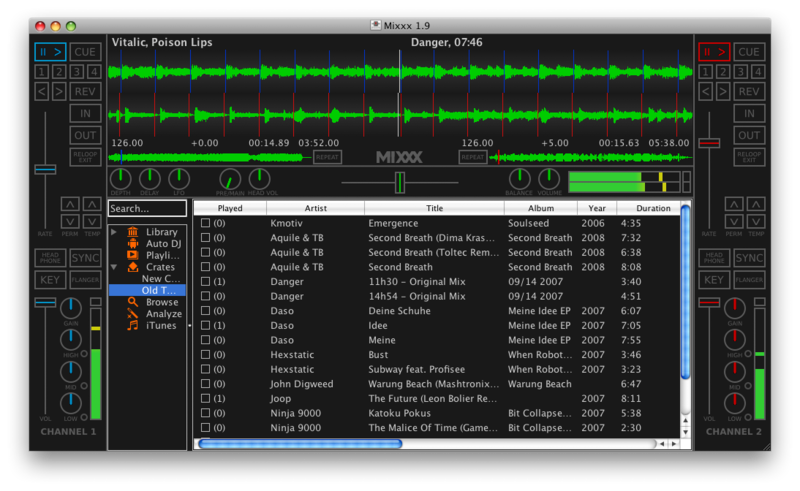 This beta release is intended to give DJs an opportunity to play with our new features and help us find bugs. Mixxx 1.8.0 Beta 1 features a slew of major improvements over our last release, including looping controls, support for multiple MIDI devices, and a completely revamped library. Although our code for playing M4A files in Mixxx is complete, we were disappointed to learn that we cannot ship Mixxx 1.8.0 Beta 1 with M4A support for legal reasons. We're currently exploring other options to bring you this much-requested feature, but in the meantime, we still wanted to have a public beta release for everyone to play with. We don't expect the stability of this beta release to be as good as 1.7.2, so if you're planning on DJing live, please don't use the 1.8.0 betas. Please report any bugs you find on our bug tracker - It's very difficult for us to keep track of bugs that are reported on the forums or in comments on the blog, so having all our bug reports in one place makes them much easier to manage. Thanks for your cooperation! From there, copy and paste your mixxxtrack.xml file to a safe location. 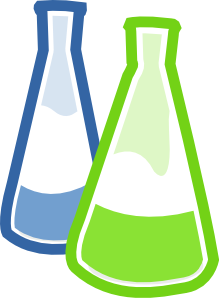 When you first run Mixxx 1.8, your library will be upgraded to our new database format and stored in a different file called mixxxdb.sqlite. Your mixxxtrack.xml file will be renamed mixxxtrack.bak, and so if you'd like 1.7 to see your old library again, you will either need to rename mixxxtrack.bak to mixxxtrack.xml, or restore the backed up copy of mixxxtrack.xml from your safe location. Lastly, we wanted to release a beta version to not only let you help us find bugs, but also as an invitation to get involved and help us fix bugs. If you know C++, we encourage you to dive into our source code and try to fix bugs that affect you. We're perpetually short-handed and we're always looking for more help. The more people that get involved, the more fun it is for us too. We understand that looking at a new codebase can be daunting, so if you'd like some extra direction, we'd be more than happy to help you - Come hang out in our IRC channel (#mixxx on Freenode), and we'll get you started!